Hatchbacks are a popular choice among buyers in India. Cars in this segment are the most loved and the most favored for a multitude of reasons be it for their affordable pricing, added comfort, compact size and efficient mileage. The Indian buyer is also spoilt for choices of vehicles in this segment with every automaker offering a plethora of options in the hatchback segment. We give below three of the best selling hatchbacks in India as on date. Maruti Suzuki Baleno, sold exclusively through NEXA outlets is offered in 12 variants and in four trim levels of Sigma, Delta, Zeta and Alpha. Launched in India in October 2015, this B+ segment hatchback is the company’s most premium hatchback and has been leading in sale in India. 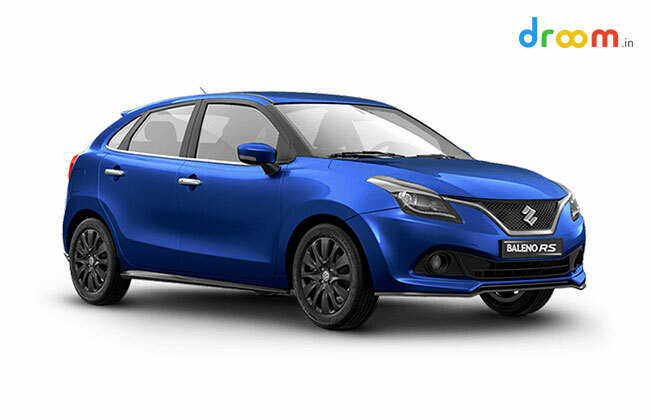 The Baleno is exclusively made in India both for domestic and global markets. Maruti Suzuki Baleno follows a liquid flow design philosophy. It gets a V shaped front grille, swept back headlamps and wide shoulder line. Premium accents include projector headlamps, LED DRLs and chrome inserts. To the rear, LED tail lamp and added chrome is evident while its sloping roof adds to its sporty appeal. Interiors of Baleno are done up in all black and is comfortable for upto 5 adults. It gets a host of features among which are a touchscreen music system, rear parking camera and sensors, climate control and a host of safety features that include ABS, EBD and front airbags. The Baleno is powered by a 1.2 liter K Series VVT petrol engine offering 83 bhp power and 115 Nm torque and a 1.3 liter MultiJet diesel engine capable of 75 bhp power and 190 Nm torque. Both engines get mated to a 5 speed manual or CVT automatic transmission. This premium hatchback competes with the Honda Jazz and Hyundai Elite i20 in India. Even as 2018 Hyundai Elite i20 facelift is currently being tested and slated for launch early next year, 2017 Elite i20 has been much in demand in the premium hatchback segment in India. It is renowned for its excellent performance, safety features and mileage and though offered in the hatchback segment, interior space is comparable to that of a sedan. 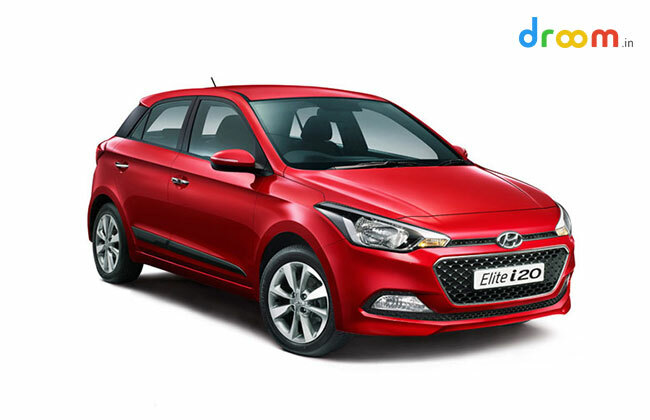 Hyundai Elite i20 gets a wide hexagonal grille, wrap around head and tail lamps, LED DRLs and projector headlamps. It longer bonnet design adds to its exterior appeal. Interiors are seen with orange color inserts in an overall black color scheme adding a sportier stance. It gets a 7” touchscreen infotainment system that supports Apple CarPlay, Android Auto and Mirror Link connectivity. 2017 Hyundai Elite i20 is powered by three engine options. These include a 1.2 liter petrol offering 83 PS power and 115 Nm torque, a 1.4 liter U2 CRDi diesel engine offering 90 PS power and 220 Nm torque and a 1.4 liter petrol producing 100 PS power and 132 Nm torque. Each of these engines get mated to 5 speed manual or 6 speed manual transmissions while the 1.4 liter petrol gets only a 4 speed autobox. In terms of competition, the 2017 Hyundai Elite i20 competes with the Maruti Baleno, Honda Jazz and Volkswagen Polo. Among the most popular of hatchbacks on sale in India is also the Maruti Suzuki Swift. It owes its popularity to its affordable pricing, sporty stance and of course the Maruti Suzuki brand name. 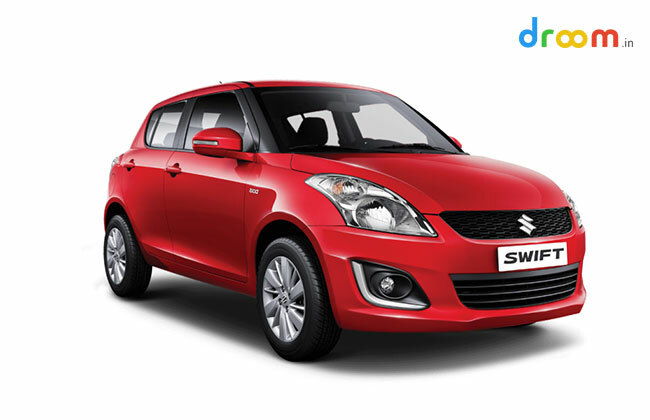 Launched in India in 2005, the Swift got its first facelift in 2014. Exteriors are noted with a well defined bumper, fog lamp housing with silver bezels, hexagonal grille, wraparound headlamps with DRLs and sleek tail lamps. Interiors sport sufficient space for upto 5 adults while boot space is also at a premium. On board features include the latest in technology with cruise control, keyless entry, push button start and top end versions are seen with faux leather seats, steering mounted controls, music system with Bluetooth, AUX, iPod compatibility, ABS and airbags. Maruti Suzuki Swift is powered by a 1.2 liter petrol engine offering 85 bhp power and 114 Nm torque and a 1.3 liter MultiJet diesel engine capable of 74 bhp power and 190 Nm torque. Both engines get mated to a 5 speed manual gearbox and offer an excellent level of fuel efficiency and performance. Driver and passenger airbags, brake assist, driver seatbelt reminder and security alarm system are among the safety features seen on the Swift. One of the best premium hatchbacks on sale in India, Maruti Suzuki Swift competes with Hyundai Grand i10, Nissan Micra and Renault Pulse in the Indian car market. Most Important Reasons to buy a used vehicle!